In a tree-like cluster of wooden branches, 60 electronically-fired lightbulbs glow in tightly-choreographed pulses along with music. The light sculpture becomes the setting for a kind of AV dance theater, forming an otherworldly environment for narrative movement. “A Man Named Zero” is the work of Nocte and a team in the UK of performers, pairing DJ with lightbulb accompaniment. 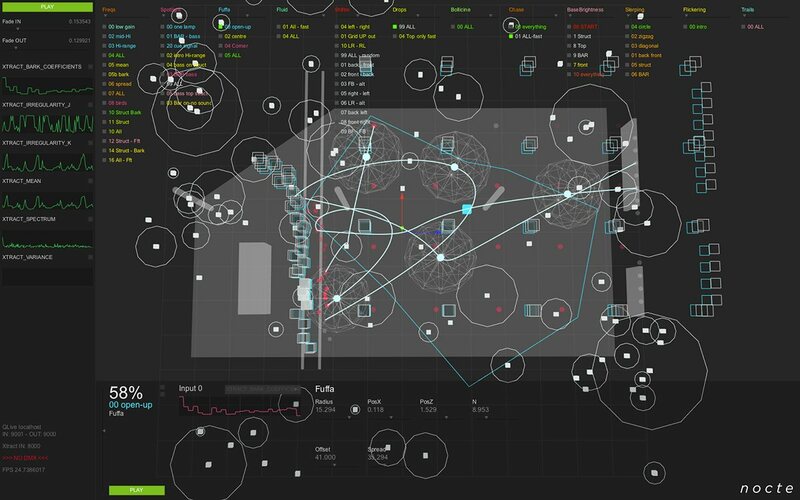 Nocte realized the project in the creative coding tool Cinder (C++), which provides both the lightbulb control and slick-looking wireframe visual interface. Interestingly, the audio analysis isn’t just a straight FFT. Instead, using the open LibXtract library, the software “extracts” audio “features” – that is, it does some fancy math on the sound to perform a smarter analysis. A Man Named Zero from Nocte on Vimeo. Nocte aka Andrea Cuius writes with more. He presented the performance at The Total Refreshment Centre in London back in October. A MAN NAMED ZERO is a live performance and light installation designed by Nocte. The installation, built with 60 suspended tungsten light bulbs and accompanied by a live performance and DJ-set, tells the story of one man’s rite of passage as he breaks out of his mental and physical hibernation into discovering himself and his own mind. 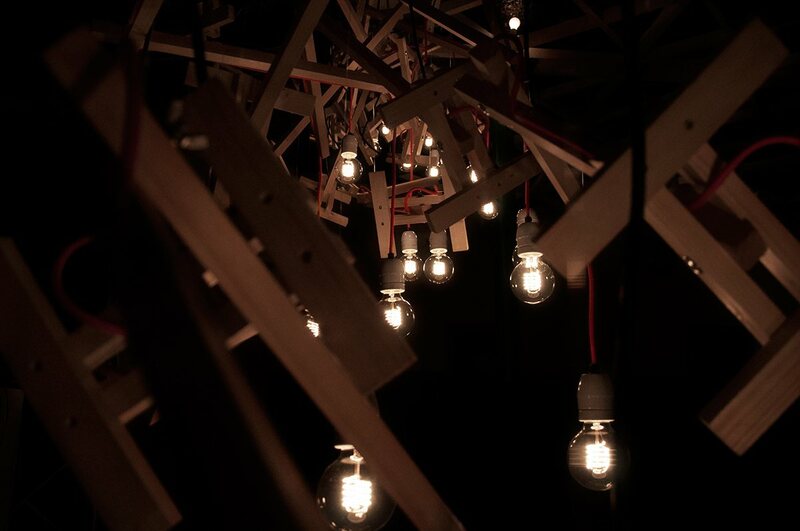 With pulsating and flickering light bulbs the installation comes to life by organically reacting and growing with the environment, performance and music around it, transforming the venue into an atmospheric stage, depicting the protagonist’s dramatic journey out of the ‘dark into the light’. 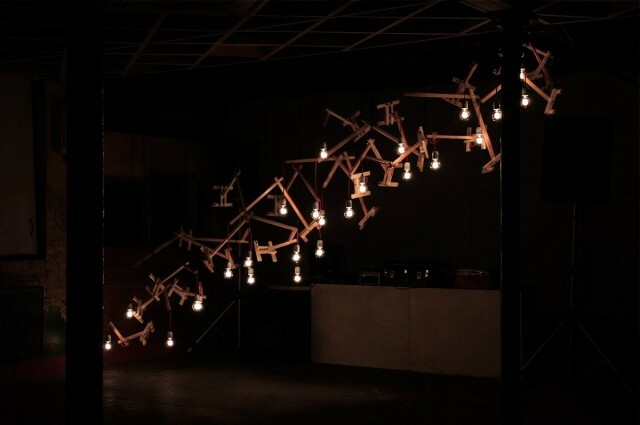 The light bulbs are controlled by a custom software developed in Cinder. The software enables us to build a virtual 3D reproduction of the physical environment in order to create spatial effects by controlling a variety of different elements in the space. 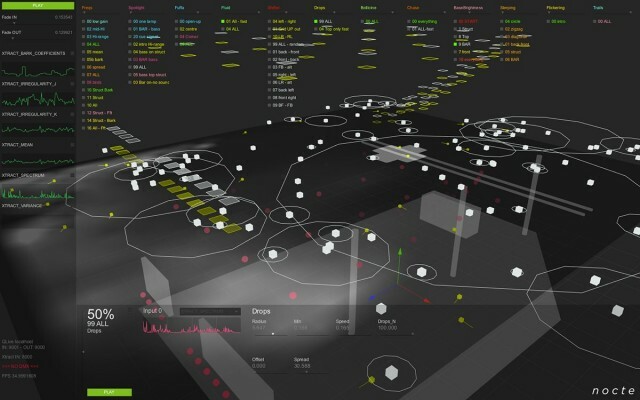 It therefore allows to transform the space into an audio-responsive scenery. The software uses audio input to process data in real-time and creates unique responses tailored to the given audio input. 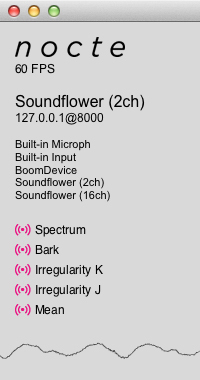 A custom tool developed with LibXtract, an audio feature extraction library, analysis the sound. These tools and techniques are the results of an ongoing collaboration with Jamie Bullock and the Birmingham Conservatoire. Please do keep the performance projects coming in. I feel strongly that, amidst some wonderful resources now that cover design and interaction more generally, we need a dedicated home for visuals in performance. And this site is made possible by the submissions and news tips of readers like you.